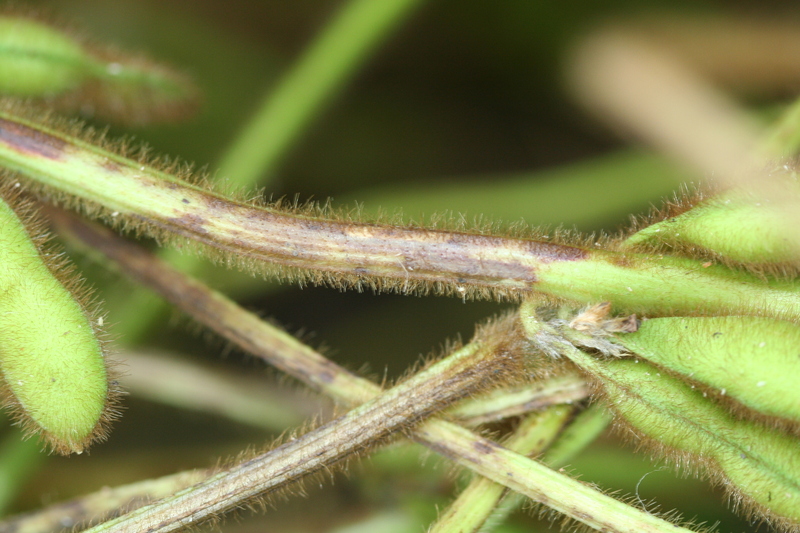 Anthracnose stem blight is caused by the fungus Colletotrichum truncatum, and is generally a late season disease prevalent on maturing soybeans. 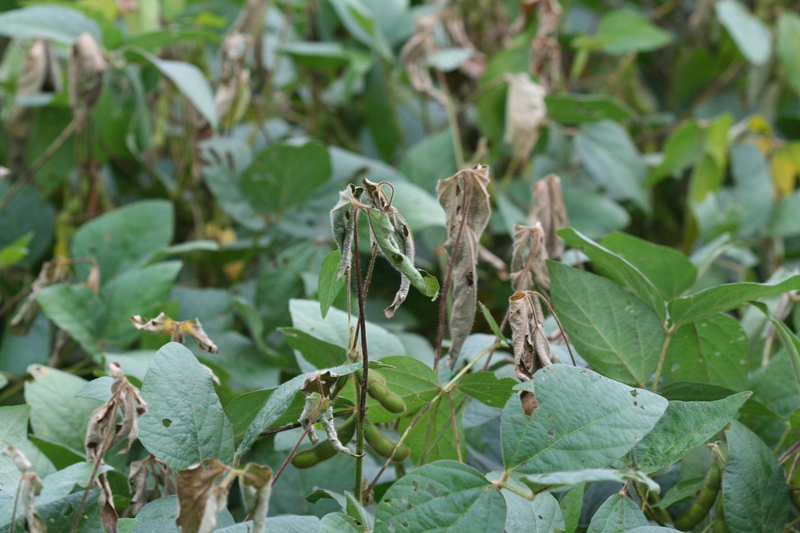 Irregularly shaped red to dark brown blotches on stems and petioles can appear during early reproductive stages. 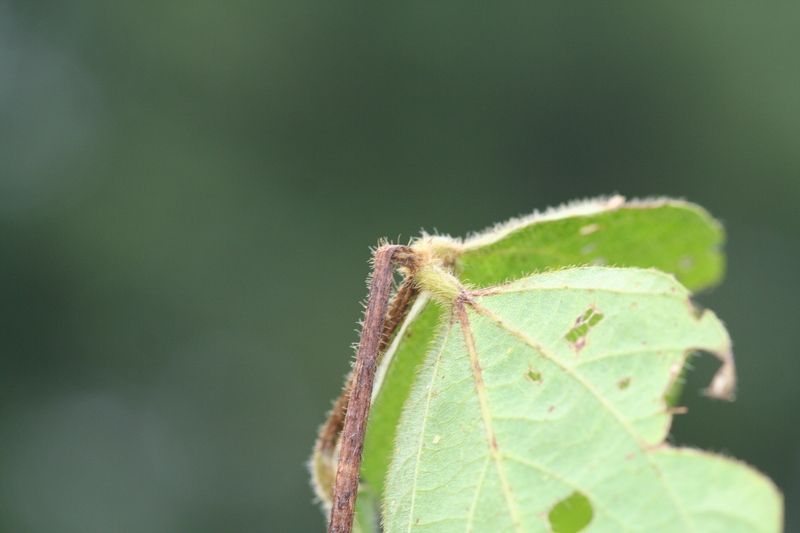 Petiole infection can result in a shepherd's crook (curling or "hooking" of plant tissue). 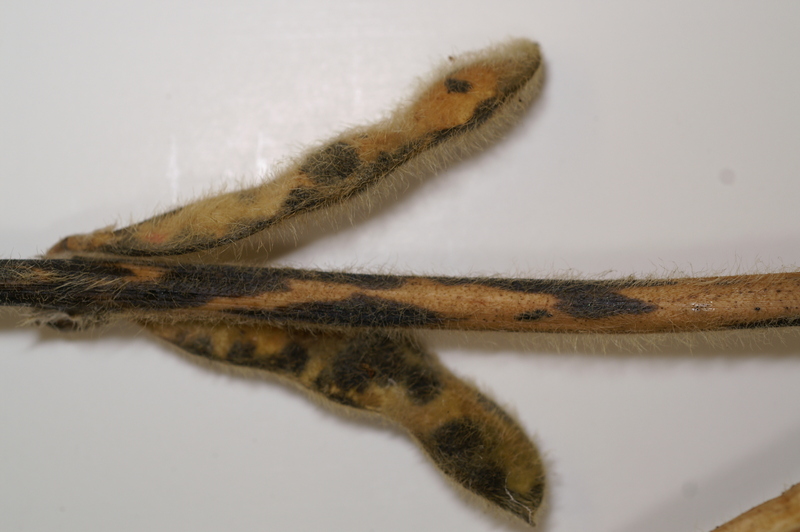 Near maturity, black fungal bodies that produce small, black spines and spores are evident on infected stems, petioles, and pods. 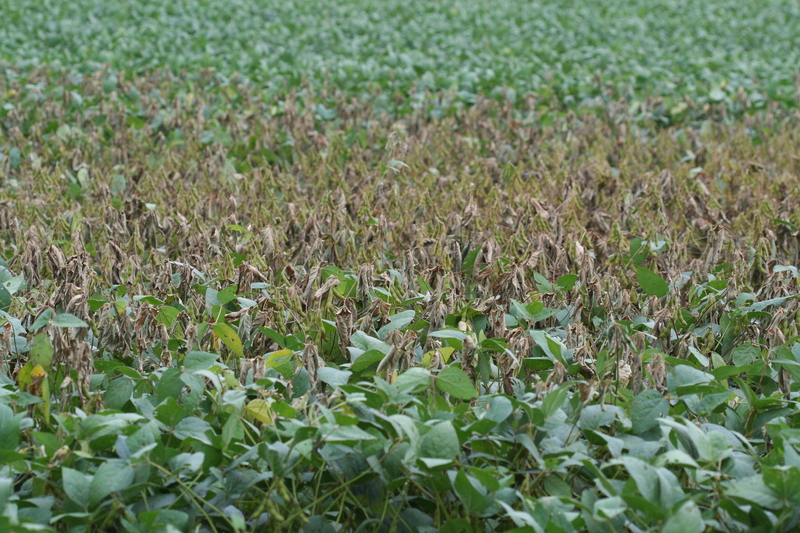 Warm, wet weather favors infection and disease development. 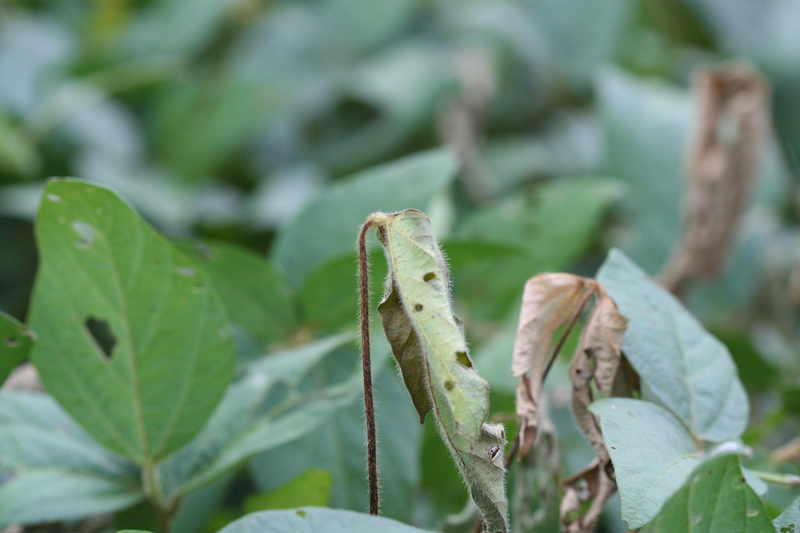 Anthracnose stem blight lesions on mature soybean stem. Large area of plants with anthracnose stem blight in a field. Shepherd's crooking of foliage is a symptom of anthracnose stem blight. Petiole lesion from anthracnose stem blight. 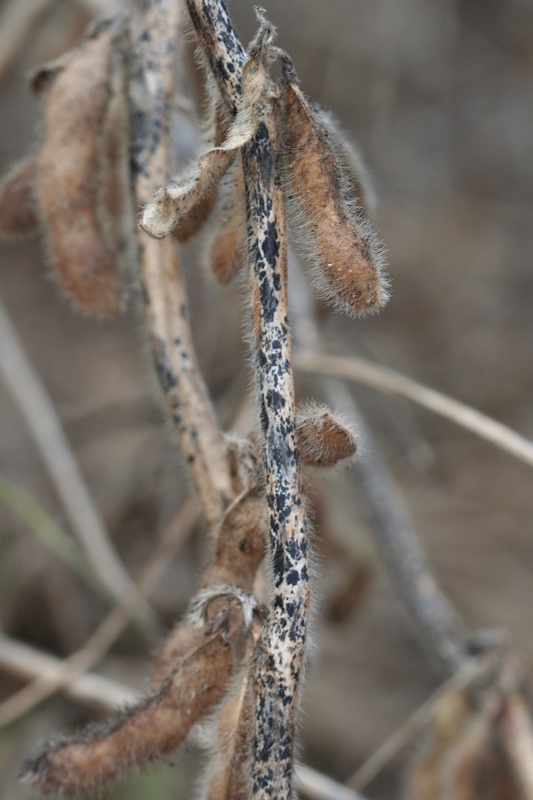 Stem and pod lesions indicative of anthracnose stem blight. 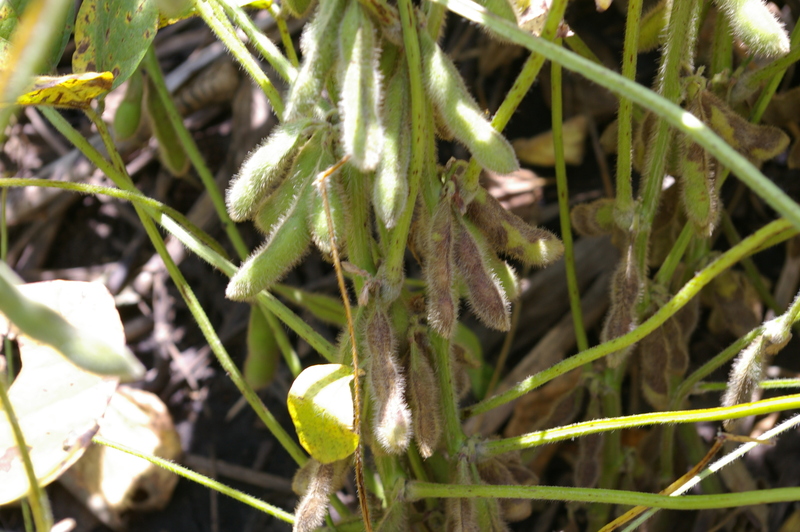 Pods with early symptoms of anthracnose stem blight. Early anthracnose stem blight stem lesion.